Some parts of cleaning can be done almost automatically, while others, such as cleaning the joints in a tile floor, tempt us to contract a cleaning service or to spray the whole bathroom with bleach. In short: it will probably never be easy to clean the grout. If you cannot stand the brown-grey shade of the strips between the tiles, you will always have to struggle with it somehow. Anyway, there is a help. The only quick means of whitening the joints are the whitening markers or pens. However, they have a major drawback – you will need three or more of them to clean an average sized bathroom, because their life is very short. So you should start other plans. 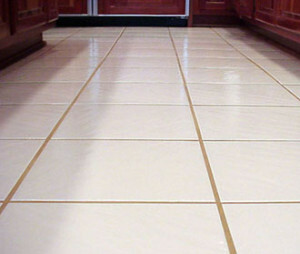 In general, you should not clean the joints with anything that could disrupt their structure and rub the grout out. It is of course easier said than done, because you get the dirt out only by scrubbing or chemical bleaching (unless you coat the dirt regularly with white paint). Therefore, this rule requires a certain benevolence. You can scrub the joints, but reasonably, without undue pressure and without the use of liquid sand or other sands. The same holds for chemical cleaning (even by natural means, as they are chemicals, too), which should be gradual and gentle. The professional cleaners have their own tricks for the joints. These include commercial cleaners, cooking ingredients as well as unusual instruments. To save as much work as possible, try to spray the joints with hydrogen peroxide. Let it sit for at least 15 minutes and then brush the joints and wipe them with a damp cloth. Repeat if necessary. Other people prefer the effective combination of baking soda and vinegar. 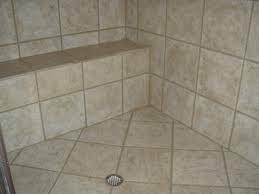 They will not definitely fill your bathroom with a pleasant smell but they can handle most of the dirt between the tiles. Prepare a paste by mixing them and let it sit on the joints for a while before wiping it off. You can also try steam cleaning, especially if you already have a steam cleaner at hand. The method is both economical and ecological, because it has the advantage of one-time investment. 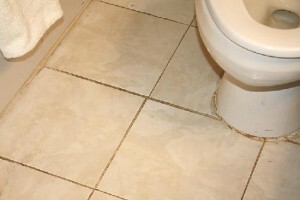 However, be careful about the type of grout – all of them should stand hot steam (it is a bathroom, after all), but a certain temperature may be too high for it. If you are most frightened by the idea of tiresome mechanical scrubbing, try to take the electric toothbrush on the grout, with an old used head, of course. It will work much better than a normal toothbrush, which you are likely already using on the joints. Tip: Whenever you use an aggressive cleanser, protect both your hands and your eyes; use the gloves and the goggles. The dingy joints are unpleasant but if there are traces of mould on them, the problem is more serious. 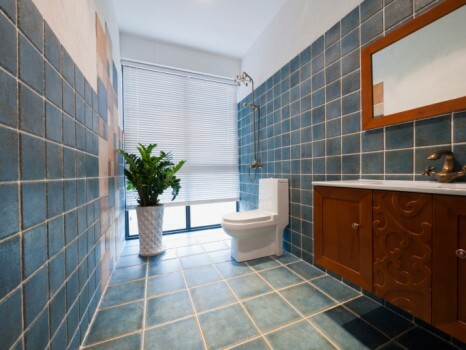 As the ceramic tiles are typically used on places with high humidity, there is always a danger of mould, especially in hard to reach corners or on places we do not normally look at. If mould has already hit the grout, it is necessary to get a special agent for mould removing and treat the tiles with it. In some cases, it is necessary to restore the joints because they lose their integrity, they get porous and they crumble. To prevent these problems, do not omit the less accessible places when doing the cleaning and do not use too aggressive products or methods; they could disrupt the joints and thereby increase the danger, that they well be definitely destroyed by the mould. Where Can Bacteria Be Hidden?